who knew Texas had good sushi? 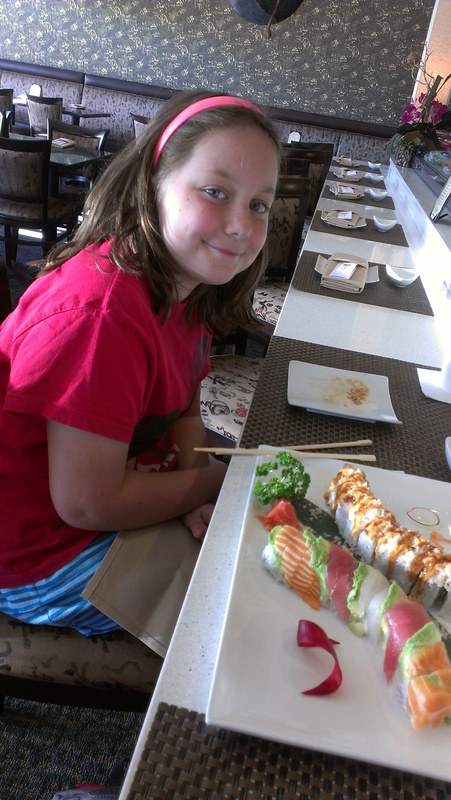 Did you know that there is sushi in Texas? Did you know it is yummmmmmmy??? As you all know, I have three children. One is the eldest. One is the youngest. And one has middle child syndrome. I swore up, down, and sideways that my middle child would never feel left out or, for lack of a better description, stuck in the middle. But she does. And it kills me. So we went on a date. Every time I have the chance to take out one of the kids by myself, I am quickly reminded of how much I just like them. Each one is SO different, quirky sense of humor and all. And I love getting some direct eye contact, one on one, or whatever you want to call it. It’s just so nice to be able to just focus on the two of us. We couldn’t have been more happy with our experience. It was the perfect time in the afternoon to totally miss the lunch crowd but early enough to be before the dinner rush. We sat at the bar and got to watch the chef’s make the sushi and it totally made me want to get a kit and try to do it! Anyway, here are a few photos of one of my favorite splurges along with one of my favorite meal companions! 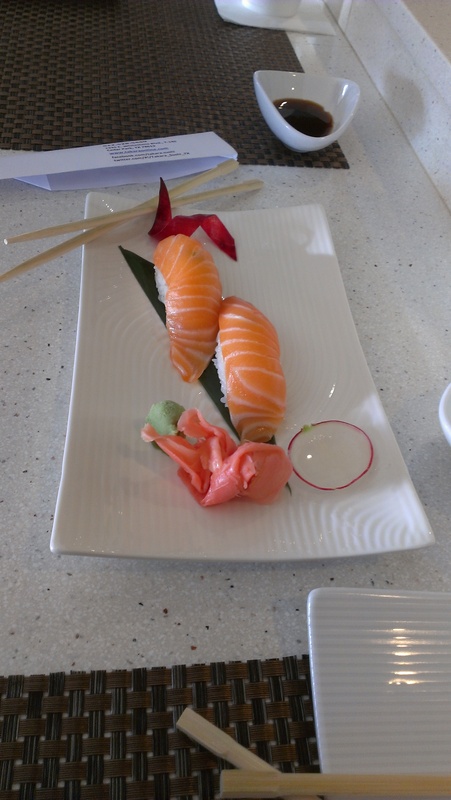 And I figured that since the destination we are considering going to for our next big adventure doesn’t really encourage the eating of raw fish let alone meat due to….ummmm….well….intestinal issues….I can make it a point to get my sushi on whenever and however much I want! Mary and children-One thing I love about RVing is that we meet the neatest people and I put you and your children right at the top of the list! I talked with your eldest Gracie the most and how refreshing to find a young lady like her so “refreshing, caring and truly interested in our conversation”. I do so hope our paths pass again, remember that invitation to visit WI. was sincere!